Dandelions are one of the easiest wild flowers to identify, so are a perfect place to start if you want to cook with wild food. 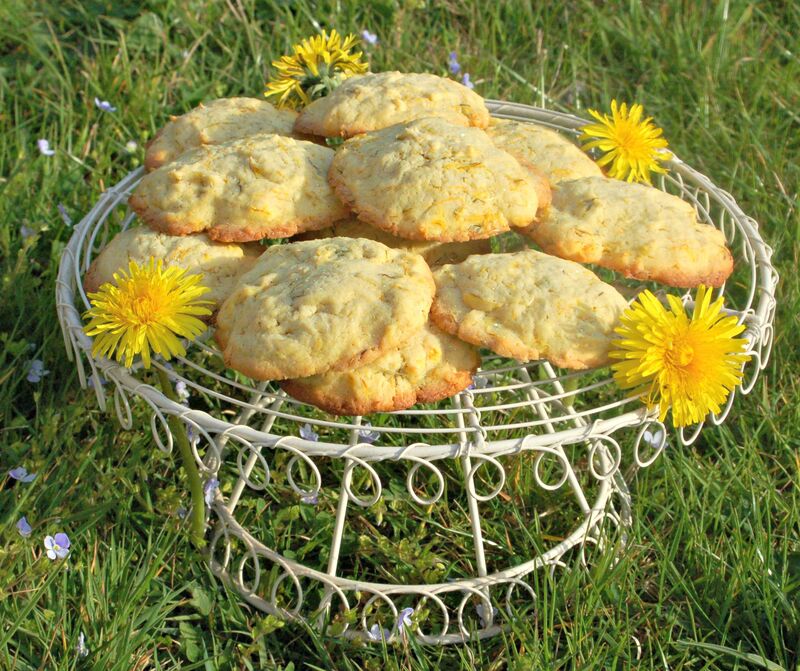 Get out and forage some today and try our wonderful Dandelion and Lemon Biscuits recipe. Over the last couple of weeks the dandelions have exploded into flower around where we live – they are everywhere! The entire plant is edible (remember Dandelion and Burdock Beer? ), but I think the most fun can be found in gathering the flowers. All kids love picking Dandelion Fowers, and in my mind it counts as weeding – what’s not to like! There’s a whole host of recipes that use the dandelion flowers; teas, wines, salads and savouries. The plant is recognised as being one of our most nutritious weeds here in the UK. Dandelions contain anti-oxidant vitamins, minerals, calcium, as well as protein, and would have been a food staple for our ancestors here in Europe. 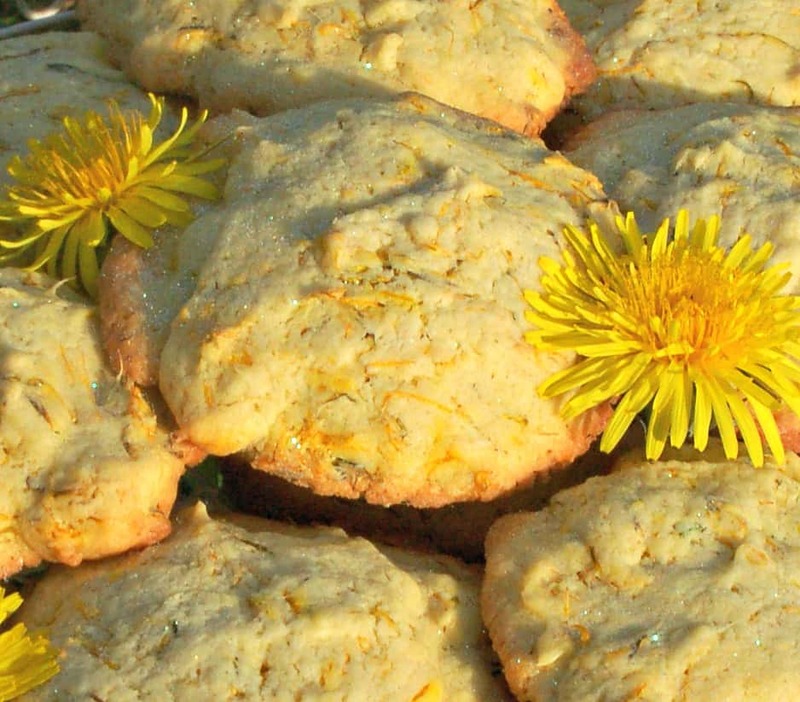 Why not try our beautifully simple Dandelion and Lemon biscuits for a sunny introduction to this wonderful edible weed! Prepare the Dandelion flowers: Wash, then remove the yellow petals by pinching firmly and pulling (a little green is ok but too much may impart a bitter taste). Cream the sugar and butter until fluffy. Add the egg and lemon zest. Sift in the dry ingredients and combine well. 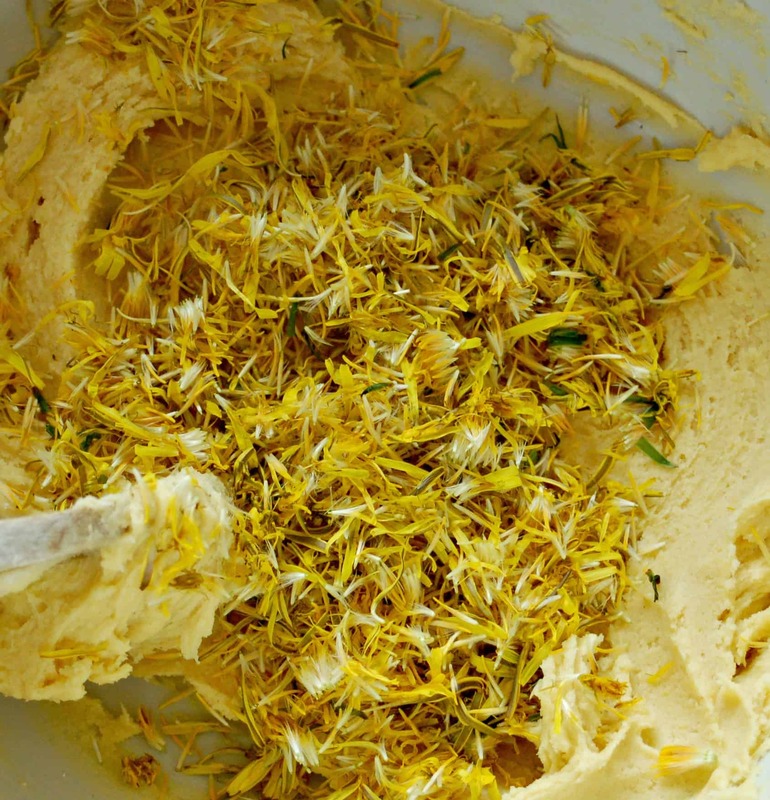 Add in the lemon juice and Dandelion petals and mix. Dollop spoonfuls onto a baking tray and cook for approximately 12 mins at 180C/350F/gas 4 until golden. Cool on a wire rack and enjoy with a cup of tea! Try different combinations of flavours with this biscuit. How about Marigold Petals and Orange, Lavender or Rose Petal! For some other fun wild food recipes to try with children, why not check out our Stinging Nettle, Apple and Pear Fruit Leather, our nettle crisps or our Meadowsweet Cordial. I could only find 5 dandelions in our garden today(only place I know they haven’t been sprayed or pooed on)so I supplemented with some lemon balm leaves and reduced the lemon zest. Was a bit woried as I dolloped them out as they had consistency of very think mashed potato and I couldn’t shape them at all but they turned out great. I was hoping to get to the dandelions before Bruce sprayed them! ARG! I will have to wait for the next crop and tell him to save me at least 20 before he decides to kill them off! Thanks for sharing this, what a fun idea! How interesting! I have never tried baking with dandelions before but now I am definitely intrigued. We have plenty to harvest! I have the flowers already, and I’m going to try do them, in this moment. But I have a doubt. What kind of corn flour do you used? Is it normal corn flour, precooked corn flour, or corn starch? Hi Sarah, dandelion and burdock is a blast from the past. It wasn’t something I enjoyed, but I had a friend who loved the stuff. 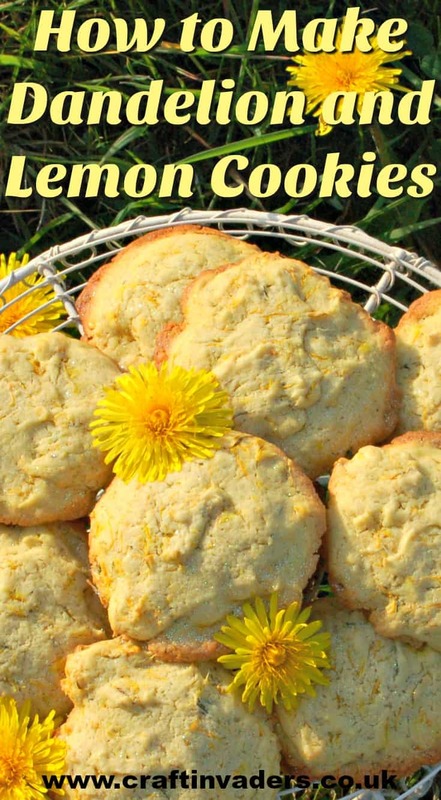 Your dandelion and lemon biscuits looks so pretty. I have never cooked using flower (or weed) petals, maybe one day I’ll have to give it a try. They look delish & I love the way you have them displayed in the picture! What is “caster sugar”? I’ve always know dandelions were edible, but have never eaten them. We fight them in the yard all the time, so maybe we can scrounge up 20 flowers! How interesting! I have never thought of eating a dandelion, or really any other plant in my yard for that matter. Would like to try some edible plants picked from the yard sometime. I have made tea from Mexican marigold before though. Wow, these look delightful and such an unusual recipe. I’ve never cooked with dandelion before. Isn’t it great that you can eat them – I look at them far more fondly now – I’ve seen recipes for wine and jelly (the jam type) on pinterest – will have to see what else I can turn up! Wow I really didnt know dandelion flowers were edible. I knew the greens were but this is a really interesting post. I look forward to trying it out! Maybe it’s just me but I never thought that dandelion could be eaten. Wow, I’m really surprised. I’ll ask my wife to find dandelions and make these for me and my wife. What a fab idea! my girls love collecting dandelion heads, now I know what to do with them all!! Thankyou so much for sharing this with me on #kidsinthekitchen it’s great to have you joining in!! Thanks for having us! Like you, I am passionate about kids learning to cook. This is a really fun recipe for them, and I think its really good for kids to learn about foraging for food – its amazing how many wild plants are edible! 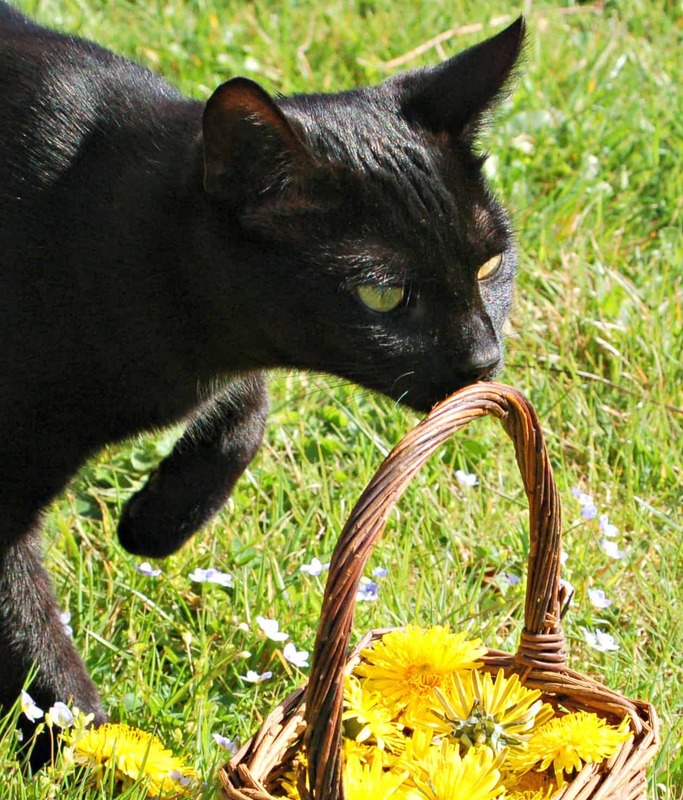 I would never have thought of using dandelions, I bet they make for interesting biscuits! Wow I never would have thought of trying this, but they actually sound scrummy! Thanks for linking up to #PicknMix! I’ve never eaten a dandelion! Am I in the minority? I need to remedy that. The girls have been asking to bake something so this would be super fun. 🙂 I hope you can stop by the blog on Monday and share a post–I have a link party that runs Monday through Friday! Thanks for visiting 🙂 I just sneaked a peek at your site, what an oasis of calm it appears – I have total blog envy! 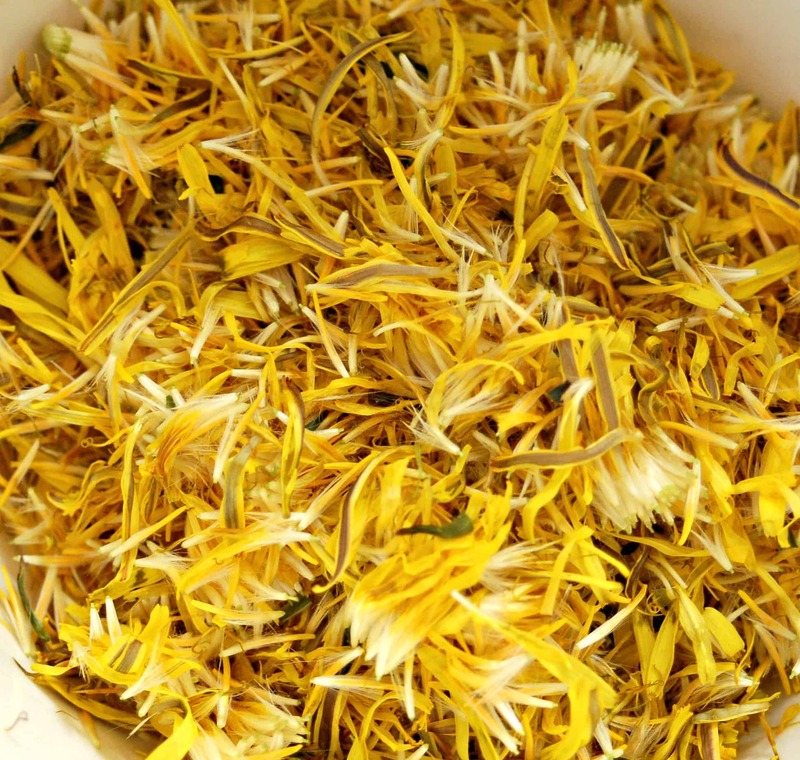 your recipe doesn’t say how much dandelion petals to use….so, once the flowers are washed and the petals removed, what is that volume, please. We used 20 heads, which I would say was roughly a cup once prepared. With this amount the texture of the petals definitely comes through. I must have missed it, but I don’t see dandelions on the ingredient list! How many? Very well spotted (red face). We used 20 heads for these biscuits.